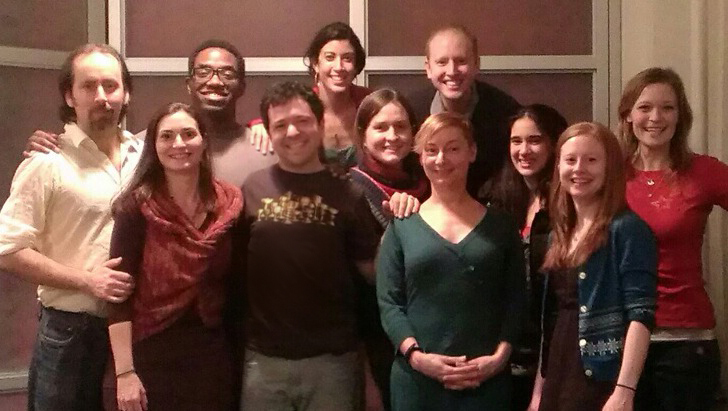 Founded in 2006, Flux Theatre Ensemble is collaboratively led by eleven ensemble artists called Creative Partners. 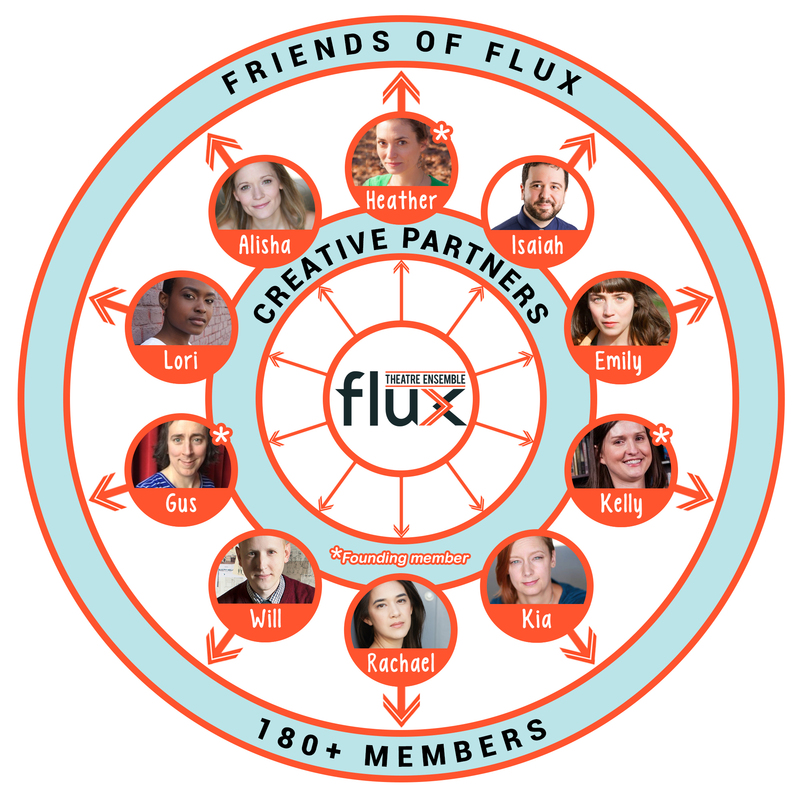 Current Creative Partners include co-founders Heather Cohn, Kelly O’Donnell and August Schulenburg; as well as Becky Byers, Sol Crespo, Rachael Hip-Flores, Will Lowry, Kia Rogers, Alisha Spielmann, Isaiah Tanenbaum and Chinaza Uche. 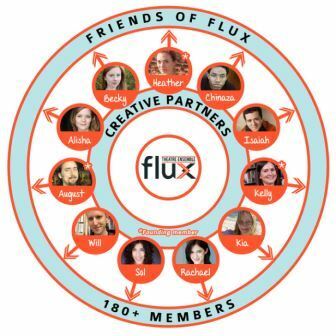 The Creative Partners collaborate with a core community of 180 artists and theatre lovers called the Friends of Flux.